Tax ID# TA-126-606-7456-01. Permit # STWM 2013/0002 . 3 bedroom option also available! Welcome to elegant beachfront living in this luxurious vacation rental, the Beach Treasure. Set on a perfect sandy swimming beach, this exquisite home is just a short walk into the heart of Historic Lahaina Town. Enjoy your own beach access from the cool grassy lawn fronting this popular beach destination. Swim and snorkel all day long, then take a sunset stroll on the sand. Grill your dinner on the built-in barbeque and dine under the stars on the patio. At the end of a perfect day, enjoy a dip in the Jacuzzi. Enter this gated property through a lush, tropical garden courtyard. A personal concierge will be there to greet you and provide a full tour of the property. Inside the Beach Treasure, enjoy the clean, contemporary Hawaiiana style decor. The kitchen is a chefs dream with stainless steel appliances and granite counter tops. The kitchen counter seating makes it a perfect setting to entertain or make a special breakfast for your family. The formal dining area seats eight, with views of the sand and sea. The living area provides plenty of comfortable seating, and large sliding doors that lead directly to the patio, lawn and beach. A second dining table near the barbecue on the patio seats 8. The main home features 3 bedrooms and 2.5 baths and the Ohana (Guest Suite) has 1 additional bedroom and full bathroom comfortably sleeping 8 total. (Maximum 8 guests, with the exception of children under 2) The main floor master suite features a king-sized four poster bed, his/her sinks, walk in shower, and Japanese style soaking tub. Upstairs features 2 bedrooms: The 'yellow room', a second master suite with a king-sized four poster bed and ocean views with direct access to the large well furnished lanai, which is equipped with a wetbar, fridge, and ice maker. The 'blue room' features a queen bed with Japanese sliding shoji doors. Also upstairs, with direct access to the main house, the 'guest suite' is equipped with two twin beds that can be combined to make a king sized bed. The guest suite also features its own bathroom, washer/ dryer, small living room area with TV and wet bar. Although this suite opens to the main house, it can also be locked off for privacy and is accessible from an outside staircase making it perfect for a nanny or assistant. 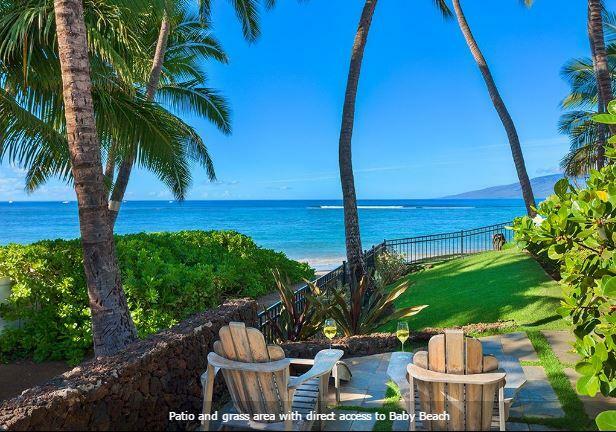 Make this elegant beach house your sanctuary amidst the hustle and bustle of Lahaina, an old whaling community now famous for its shopping and world class dining options. There are plenty of activities to enjoy nearby including snorkeling, surfing, sailing, fishing, and golfing. You can take a stroll through Lahaina town and enjoy the colorful atmosphere or spend your days relaxing and playing on the beach. Whatever your notion of a dream vacation the Lahaina Beach House is sure to satisfy. $1,800 - $1,900 per night. 50% down to hold a reservation. Balance due 75 days before check-in. $5,000.00 security deposit. $625.00 cleaning fee. 4% processing fee. Listed rates do not include tax. Holiday and peak season rates and required length of stay may be different than quoted above. Credit cards, cash, checks and wire transfers accepted. Minimum night stay varies amongst the various rental units. Many rentals have 30-night minimums. Permit number: STWM 2013/0002 . Tax number: TA-126-606-7456-01.